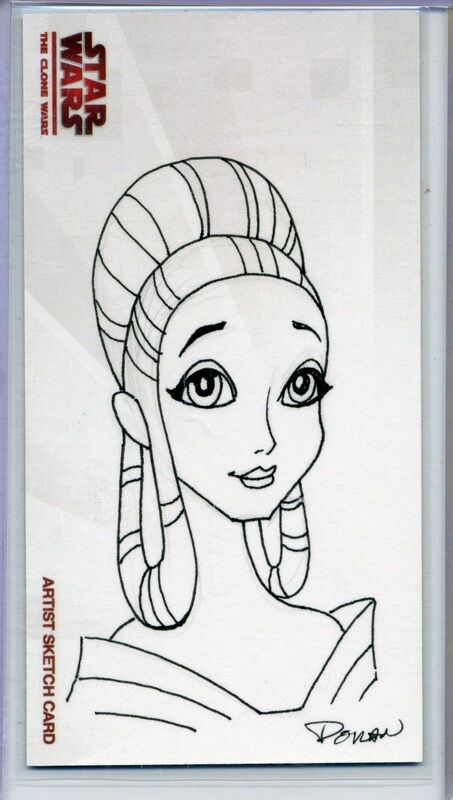 While this rendition of Senator Padmé Amidala is from the Clone Wars, it is from the Star Wars: Clone Wars micro-series rather than the 3-D animated show upon which the set of cards is based. She is depicted in the dress given to her by Anakin Skywalker before he returns to the outer rim to continue fighting the Clone War. 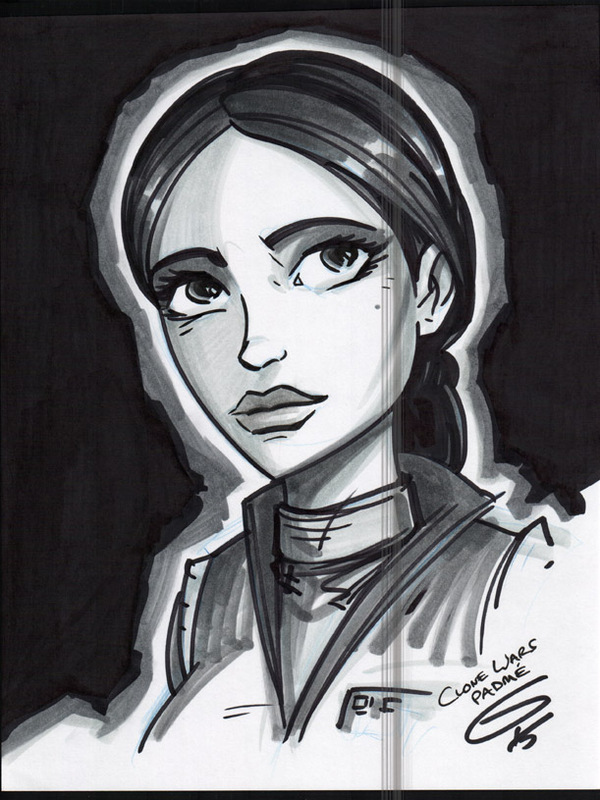 While this is an original sketch, I believe the artist drew many similar cards, so I’m not willing to call it one-of-a-kind. I purchased this card from Claw Gems LLC in February 2015. 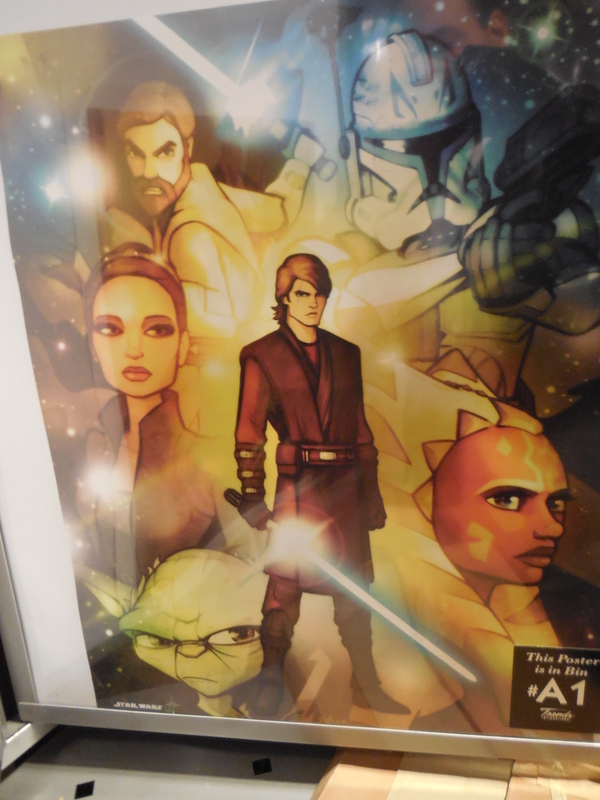 Grant Gould was the only artist in the Star Wars Celebration VI Art Show who based his limited edition print on Star Wars: The Clone Wars. Rather than the usual 250 prints, his print was limited to 200. 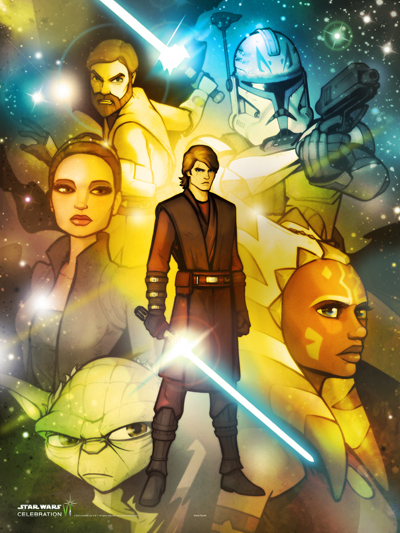 The heroes pictured are Jedi Anakin Skywalker who is surrounded by Padmé Amidala, Obi-Wan Kenobi, Captain Rex, Ahsoka Tano, and Yoda. I pre-ordered the print from Acme Archives on August 2, 2012 and then picked it up on August 23, 2012, at Star Wars Celebration VI in Orlando, Florida.